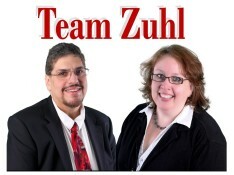 Team Zuhl has been in the Real Estate Business since 2007. We have always strived to stay ahead of the curve in technology and we ALWAYS put our clients FIRST! Our goal is to help you find and buy your dream home. If you need to sell we are able to get your home sold in the shortest time possible and for the most money.